Eric S. Chung is a Researcher in the Microsoft Research Technologies (MSR-T) lab at Redmond. Eric is a member of the Catapult team and is interested in prototyping and productively harnessing novel hardware systems that incorporate specialized and reconfigurable hardware such as FPGAs. Eric holds a PhD from Carnegie Mellon University (2011) and a BS in EECS from UC Berkeley. Eric has had over 8 years of experience developing with Bluespec in numerous academic and commercial projects, including several processor designs (UltraSPARC, ARMv5), a cache coherency engine for distributed shared memory, and numerous FPGA-based accelerators. Pat O’Connor is a Partner, Director of Engineering in the Silicon Development group in Devices Division, responsible for hardware and software development of sensors and custom silicon in Microsoft’s Natural User Interface platforms, such as Kinect. Prior to joining Microsoft, Pat was VP of Engineering at Canesta Inc., a pioneer in the area of Time Of Flight 3D Image Sensors, and held previous engineering positions at Parthus Technologies, Aureal Semiconductor, Rockwell International and Analog Devices. Pat holds a BSc in Electrical Engineering from Trinity College, Dublin. 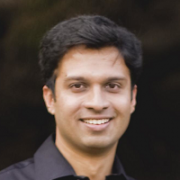 Mohammed Shoaib is a Researcher in the Sensing and Energy Research Group at Microsoft Research, Redmond. His work focuses on the VLSI design of machine-learning and signal-processing systems for low-power sensing applications. In the recent decade, machine-learning research has progressed faster than ever enabling analytics on a wide-variety of data. This has created a push towards the use of learning algorithms even in the smallest of devices, including wearables. One the other hand, however, these devices are also starting to face stricter energy and performance constraints. Thus, enabling hardware support for learning algorithms on energy-constrained devices is a deep and complex area of research, especially given the myriad of technologies, architectural/algorithmic options, and performance trade-offs. Currently, Shoaib is working on enabling vision algorithms that employ machine learning on wearable devices. In the past, he has received the Ph.D. and MA degrees in Electrical Engineering from Princeton University in 2013 and 2010, respectively. He has also received the B.Tech and M.Tech dual degree in Electrical Engineering from IIT Madras in 2008. He has received Ph.D. fellowships from Princeton University and Qualcomm Corporate Research in 2008 and 2010, respectively. He has also received academic awards such as the Roberto-Padovani scholarship from Qualcomm in 2011, the Gordon Wu Prize for excellence from Princeton University in 2012, and Harold W. Dodds Honorific Fellowship from Princeton University in 2012. He was also a graduate fellow of the McGraw Center for Teaching and Learning from 2012-2013. He is a member of the IEEE and the ACM.